Make this simple call TODAY 2/8/11 and make your voice heard! Call 619-293-2506 and listen to the statement and hopefully hit 2 to have your vote counted to keep the current name. There will be plenty of new things that could be named for the former President — like a sewage plant or a garbage dump — without changing the current name of the Coronado Bridge. David Klowden has a facebook and petition going against the renaming of the bridge after Reagan. thanks for posting this link, Frank. Readers: Did you see the results of the U-T poll. 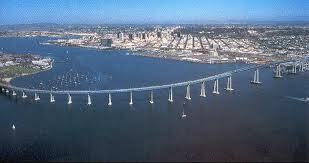 82% of nearly 4000 responses said “NO!” they didn’t want the Coronado Bridge renamed after Reagan. Yea! Older Article: Archaeology Dig at Sunset Cliffs and W. Point Loma?